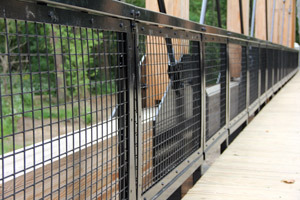 Steven Steel has fabricated beautiful bridge railings for outdoor enthusiasts to enjoy as part of multi-use trails. 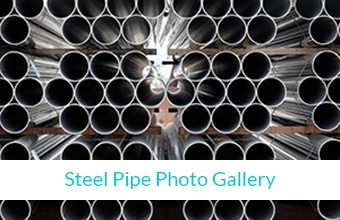 We combine our creativity and experience to develop an aesthetically pleasing environment. 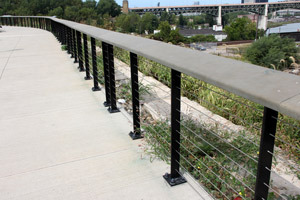 Our goal is to compliment the natural surroundings while delivering a highly functional product for everyone to enjoy. 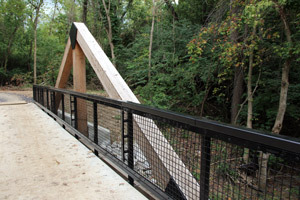 Steven Steel has effectively worked with many municipalities to develop multi-use trails that add safe access for community members to the outdoors. 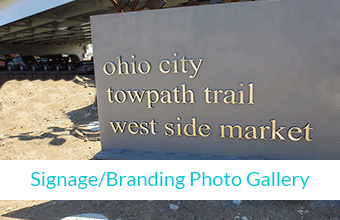 Our fabricated products help to increase the appeal of living communities and attract new residents and visitors. 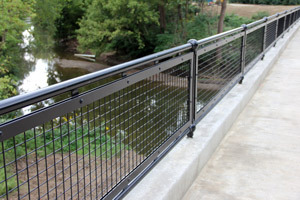 Steven Steel has fabricated many styles of decorative bridge railings - stainless steel cable, structural steel, wire mesh. 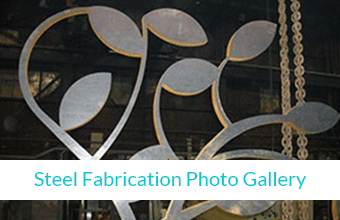 We can custom fabricate any style to meet customer specified requirements. 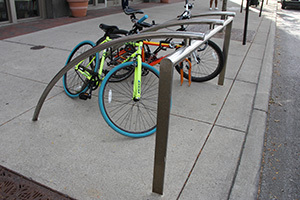 Steven Steel’s expertise delivers high quality that provides safety and durability to the outside venue. We strive to deliver a fabricated product that lasts and adds an artistic flare to the outdoors while keeping outdoor enthusiasts safe. 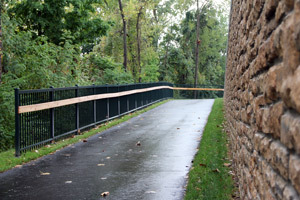 Steven Steel has fabricated seven bridge railings for Alum Creek Trail, the longest continuous bike trail in Ohio. 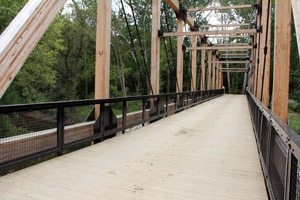 The trail stretches about 20 miles between Westerville and Three Creeks and acts as the primary route for the section of the Ohio to Erie Trail that runs through Columbus.